I mean really, is this not what you expected? Or do the Australian politicians & their bureacrat staff just traipse down the path of life singing “Tra la la la la” whilst throwing flowers in the air & thinking that nothing will ever go wrong? As private citizens, there is a perfect solution to private communication concerns. Get Signal Private Messenger. Signal is a fully-featured communication platform for talk, text, image, video & document transmission that provides complete anonymity to both parties. 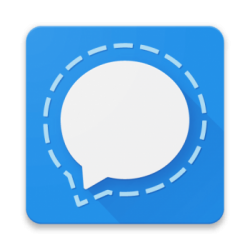 Signal Private Messenger is free, trusted & proven open-source software available for your Android Phone or 4G Tablet, iPhone or 4G iPad, PC, Mac or Linux computer. Recommended by the Electronic Frontier Foundation, an independent non-profit working to protect online privacy for nearly thirty years, their Surveillance Self Defence is a vital read.